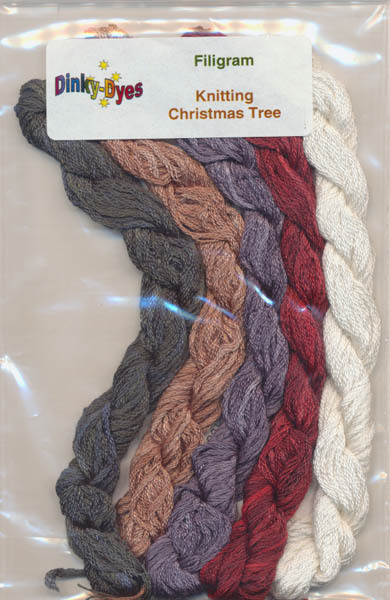 Dinky-Dyes threads needed for Filigram design Knitting Christmas Tree. 5 skeins. 20 points will be rewarded to you when you buy this item. You must be a registered customer to receive points.